Pie with carrots and options for the best creams for it! Pie with carrots probably once in my life tried each. On how lucky you are (if it was just delicious, weird or conventional), depends on whether you want to try it again. 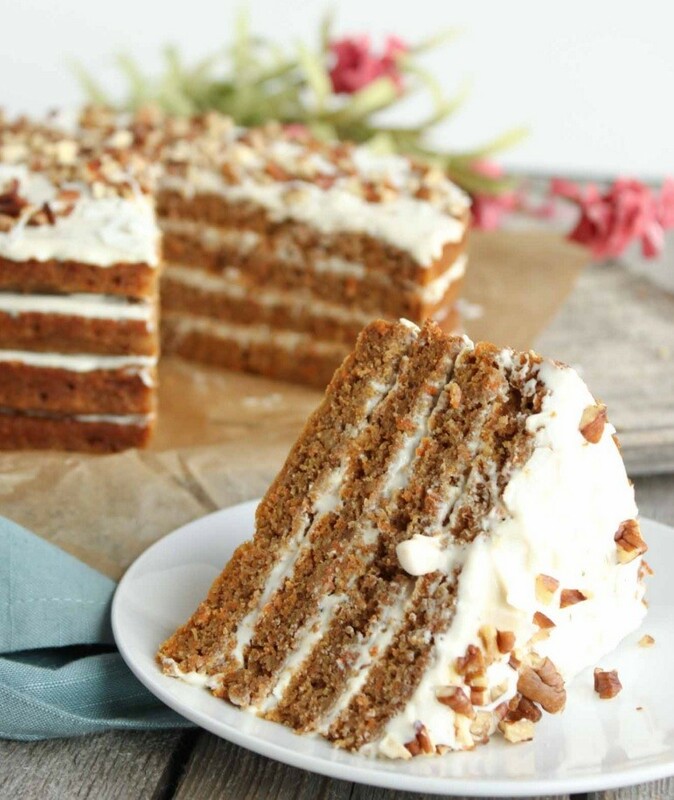 By the way, recipes for carrot cake dozens: spicy and rich nutty, sugary-sweet and "neutral", with hints of ginger, nutmeg or citrus, with plenty of candied or dried fruits. The flavors are so many that sometimes will not even think that it is all one and the same cake with carrots (also, incidentally, is the basis for the famous carrot cake). If you've never tried a pie with carrots, it is necessary to make at least curiosity. I hasten to assure you: this is not a vegetable dish, but a real dessert. Taste carrots as such, no, along with spices and nuts it becomes so unobtrusive, fruity, or something - one can hardly imagine that the basis of the pie banal carrots. I want to bite again and again in order to "solve" the taste. I'm preparing the cake with carrot a few times. And until recently I was in search of something better. Yes, the very "concept" of the cake I am impressed: many recipes relished. Like the abundance and combination of spices and nuts, and taking into account my love nepritornym desserts - it's one of those options when natural sweetness can be achieved with the help of sweet carrots, minimizing the amount of sugar. But each recipe before seemed to me not ideal for all 100. And so I found it: a perfect pie with carrots. Very delicate, with excellent texture, taste and smell! And last but not least - this cake is best suited for the "transformation" in carrot cake, you just fluff it with a suitable cream and allow to soak. 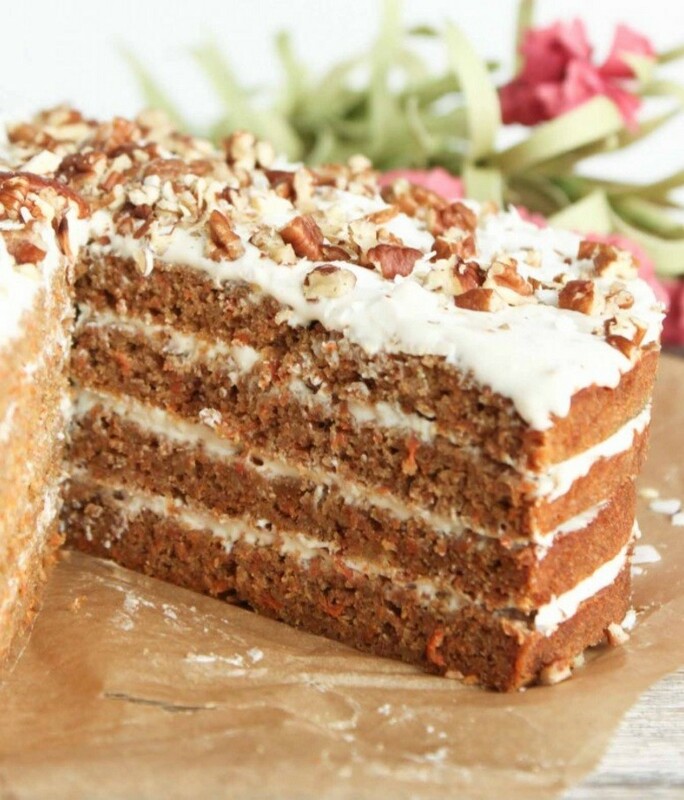 So, my favorite recipe classical cake with carrots. walnuts - a handful of (optional). *It can also be used wholegrain flour 1 or 2 varieties. Mix all dry ingredients: flour, baking powder, baking soda, salt and spices. Beat eggs with sugar until fluffy, add butter and whisk again; there too - sour cream, applesauce and zest, mix well. Carrots grate (chips), enter into the wet mixture. Connect the dry and wet mix thoroughly. Add nuts to the dough (optional). Put in the form (required to lay a parchment) and bake in preheated oven 180 50 degree-60 minutes. Check readiness of a wooden skewer. Get him a little cool in the form, then remove and cool on a wire rack. Cut the cooled cake (it, by the way, you can store 3-4 days in the refrigerator, wrapped in plastic wrap) on 2-3 part. Usually when I bake a cake in the form of 20 cm, then cut into 2 cake. If desired, bake pie 2 each 2 cut into pieces. The result is a 4 cake, and cake will be tall and handsome. Promazhte cakes with cream and allow to soak for at least 2-3 hours (preferably overnight). All of the following recipes - based on 2 cake (or 1 carrot cake from the specified ingredients). Great with a little sour cream it turns out, if you mix 200 g cream cheese (Philadelphia, Almett etc. ), 150-200 g sour cream (from 27%) and 100-150 g sugar. Sour cream and sugar you need to whip up a separate splendor, then gently introduce the cream cheese, whipping at slow speeds. To the cream a little "grabbed" can sustain it in the refrigerator 40-60 minutes and then use. The denser stable cream can be obtained, again whisking cream cheese (200 g), butter (100 g) and sugar (100-130 g). The oil should be at room temperature, and the cream cheese - from the refrigerator. Beat butter and sugar separately until fluffy, then add the cheese. This cream is especially important if the cake to be transported, or else there is a fear that the room will be hot and the cream can "leak". Another interesting option - based cream cheese and whipped cream. Fatty cream (from 33%, 250-300 ml) Whip with sugar (100 g) to splendor, enter the pre-grated through a sieve or using a blender cheese (150-180 g) and again whisk at slow speeds. It turns out very soft and airy cream. In general, experiment and be sure to find a cream of carrot cake!